The Coromandel is a gem in New Zealand motorcycle touring. It's steep forest clad interior is outlined by a coastline that has some of the worlds best beaches such as New Chums Beach, Cathedral Cove and the fabulous Hot Water Beach, where after a long day in the saddle you can simply dig a hole in the sand and enjoy a hot spa! 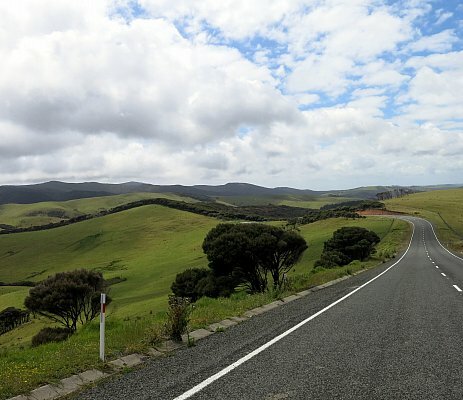 This two day self guided motorcycle tour starts from our home base in Maraetai which will enable you to get underway with a quick cup of tea or coffee at a beachside cafe before heading off around the "Pohutukawa Coast" road, that twists and turns through coastal and rural backdrops, before getting to the Coromandel Peninsula. Once on the Peninsula, the western side's road hugs the rocky shoreline passing beneath Pohutukawa trees (also know as the New Zealand Christmas Tree because they bloom in a festive deep red over New Zealand's Christmas season) bringing you to the Coromandel township at the north-western end of the Peninsula. From here the road winds up and over the Coromandel Ranges to bring you to the eastern side with its spectacularly beautiful beaches that make this a popular holiday destination. Because the main road is a loop road that circumnavigates the peninsula (approximately 200km), it is virtually impossible to get lost and allows you to deviate from this road to explore all that the region has to offer. Passing over the Coromandel Ranges at the southern end of the peninsula, homeward bound, has you riding over one of my favourite roads period! Known as the Kopu/Hikuai road, it will bring a smile to your face and probably have you ride it again...just one more time!